The international law firm will be sponsoring the Eversheds Prize in International Investment Law, which will be awarded to the best performing student on the LLM module in International Investment Law. 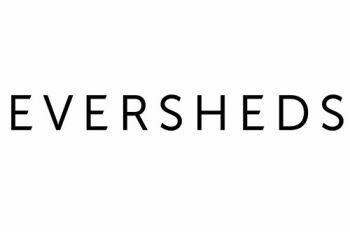 One of the largest full service global law firms, Eversheds LLP, is sponsoring the Eversheds Prize in International Investment Law, which will be awarded to the best performing student on the International Investment Law module in the City Law School’s LLM programme. The prize includes £200, an invitation to lunch at the firm and career support including a tailored CV review and practice interview, with feedback on interview skills and techniques. Professor of International Economic Law, Professor David Collins, who is Director of the LLM programme and a lecturer on its International Investment Law module, said: “It’s fantastic that Eversheds has shown a commitment to recognize some of our best students with this generous prize. Clearly, our LLM students are well regarded by London's elite firms.” City’s LLM module in International Investment Law evaluates the legal issues surrounding the activities of multinational corporations operating overseas. International Investment Law is located at the intersection of public international law (treaty obligations between states) and private international law (the commercial activities of multinational corporations) and engages some of the most compelling issues of our times, such as environmental and human rights regulations instigated by often less developed countries receiving foreign direct investment (FDI). Foreign direct investment (FDI) is defined as cross-border investment by a resident entity in one economy with the objective of obtaining a lasting interest in an enterprise resident in another economy. The lasting interest implies the existence of a long-term relationship between the direct investor and the enterprise and a significant degree of influence by the direct investor on the management of the enterprise. Ownership of at least 10% of the voting power, representing the influence by the investor, is the basic criterion used.